Naomi Watkins is an educational and instructional leader, community builder, and women’s advocate. 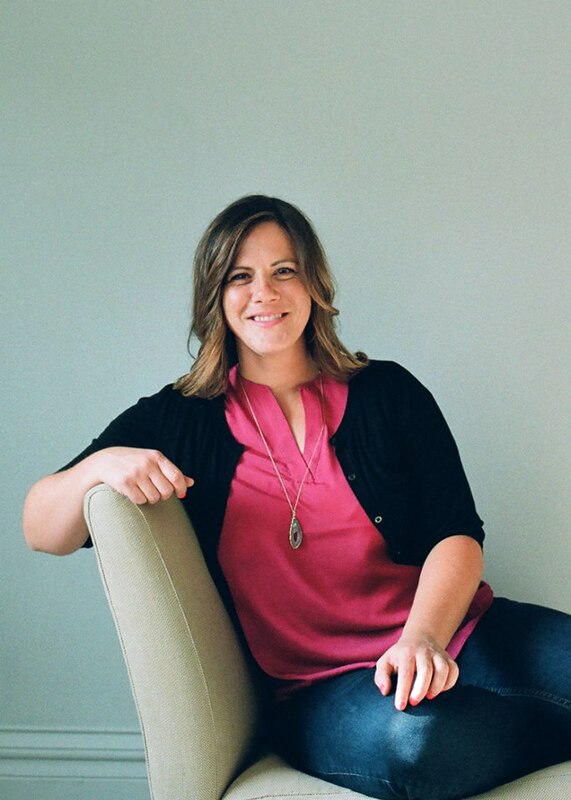 She is the cofounder of Aspiring Mormon Women and teaches and coaches teachers about adolescent literacy and language instruction. She holds a Ph.D. from the University of Utah in Literacy and enjoys cheeseburgers, the outdoors, hiking, traveling, reading, and architecture. When I teach my aspiring teachers the do’s and don’ts of reading instruction, I rail pretty passionately against a popular practice called “Round Robin Reading” where students read orally from a common text, one student after another, each taking a paragraph or verse, while the rest of the class follows along in their own copies of the text. We’ve all participated in this practice as students, and maybe even employed it as teachers. Perhaps we’ve used it as a teacher because we’ve seen it modeled so many times. We view it as “what teachers do,” particularly in a church setting when we know that students have most likely not completed the lesson’s reading before class. Educational researchers and practitioners have denounced this practice for decades. No study has found that Round Robin Reading has any benefit for students outside of creating an appearance of on-task behavior and superficial engagement. And while I know that our purpose as teachers in church classrooms is not to improve students’ overall reading comprehension skills, it should be our objective to assist students in how to use scriptural texts as a basis for discussion, connection, inspiration, and further exploration. First, as I stated above, this technique does little to support comprehension. In classrooms, it is often used as a way to “get through the text” and provides the appearance of students who are on task, paying attention, and actively reading. If students do not have adequate reading skills to comprehend scriptural texts, reading aloud and listening to others reading aloud will not necessarily help them better comprehend the text—particularly complex scriptural texts. Second, this practice assumes that we all come to the church classroom with similar literacy and language skills and experiences. It assumes that we are all competent and fluent readers of scriptural texts, and that we all are literate in the same primary language. For many people, reading aloud without prior practice in front of a group causes anxiety and discomfort, particularly if they struggle with reading fluently or have not had positive experiences with reading. I have known people to leave classes so as to avoid reading aloud. It’s one thing to ask for volunteers to read; it’s another to just blanket assign people to read aloud. Third, Round Robin Reading is not very engaging. When I hear, “Let’s each take a verse and read it aloud,” I immediately count the number of people ahead of me in my row, see how many verses we will have to read, and then, I am glad when I realize that I either have a short verse or we’ll run out of verses before it is my turn to read. Admittedly, I tune out the reading until it’s my time comes to read my verse or I silently skim the verses on my own. And when I look around the classroom, I can see that I am not alone. Instead, consider the following suggestions and alternatives to reading texts as a class. Please note that with any of these suggestions, the focus is on promoting quality discussion of text rather than covering a large quantity of text. Also, these suggestions do not teach or show students how to draw conclusions or make connections from text. Provide a short silent reading time. I realize that for many teachers a silent classroom can create anxiety, but I do think there is value in providing even 5 minutes at the beginning of class for students to silently skim over the selected verses or chapters of the lesson. If I want to provide my students with a bit more structure to their “skimming,” I have them use an approach called SQP2rs: Students survey the text, think of questions they may find answers to, state three predictions of what they may learn, read the text, try to answer their questions, and then summarize. I have found that discussions are deeper and richer when students have had a moment to personally reacquaint themselves with a scriptural story or specific verses. We could all use more devoted moments to ponder and to do so with a collective purpose. Use Read-Pair-Share. Have students read the verses or section silently, then discuss their thoughts with a partner. If some students may have trouble comprehending the text on their own, pair them with another student who can help them navigate the text or provide a short summary of the verses or section. Break students into Jigsaw groups. Jigsaw requires two rounds of student grouping. In the first grouping, each group is given a different chunk of text. Students can read silently or as a group, and they are charged with learning specific information or responding to specified questions. Then, students are reassembled into new groups that comprise one member from each of the first group sets. In these second groups, each “expert” teaches her or his information to the new group. The task of the second group is to compile all information from the various parts of the text so that students get the complete idea of the text. You may even consider challenging students to develop a six-word summary of their sections similar to six-word memoirs prior to sharing in their second grouping. Turn the classroom into a theater. Does the text focus on a story rather than a principle? Then, have class members perform the story for the class with dialogue they have been able to rehearse previously. I realize that some adults may be reticent to a readers’ theater, but honestly, Gospel Doctrine could use a bit more humor and play. Do you want students to do a close reading of a verse? Or do you want them to make bigger connections across chunks of verses or sections? Do you want them to compare and contrast two scriptural stories? The objective and purpose should help decide which instructional method(s) to select. Ultimately, however, our goal as teachers should be to create church classrooms full of engaging discussions based on scriptural texts where all class members feel comfortable to participate fully—and Round Robin Reading defeats that objective. Thanks for speaking against this approach, and for suggesting some alternatives. I’m particularly not a fan of it because of the issue you raised of how unfair it is to make a blanket reading assignment when people might not all be comfortable with it. I’ve always hated round robin reading- I get nervous reading aloud in an impropru fashion, and end up flubbing up simple words, then feeling embarrassed, or only focus on what my section in, almost zoning out the rest of the selected reading. In the end, I’ve only seen this as a an unedifued train smash. I’m so glad you’ve articulated ths issues with this and offered constructive alternatives. Thank you for these great alternatives. I learned earlier in this series that round robin reading was a less effective way to go. I have done it in the past (but to be fair to those who are uncomfortable reading out loud, I told them to whisper “pass” to the person after them if they did not want to read, and some always did). But now that I know several alternatives, I will not be doing this any more. I have actually tried some of these methods, too, and I have found them to work well. When I do lessons and write lessons for the Exponent, I try to give questions before we read, so people are thinking about answers during the reading, instead of having to back up afterwards. That is a tip I learned from the Church’s Teaching No Greater Call manual years ago. I also love small group work. I find that it engages large classes so much more than assembly-style lectures. There is nothing I dislike more than the breaking into groups or turning to the person next to you to discuss x.
I always feel like it’s a cop-out on the part of the teacher. And far more often than not, I end up staring awkwardly at those whom I’m supposed to be discussing. Or if I happen to know the people we just use this as an opportunity to catch up. I also have a hard time with the “take 5 minutes and read the chapter” approach. As I always feel like I’m being given a reading comprehension test. I get anxious and bored. And even when I give my best effort I find it very hard to consentrate. Maybe I’m odd, but I go to Sunday school for the communal learning experience. I recognize that there are certain problems with the round robin reading, but there is something kind of lovely about the ritual. I enjoy hearing the text read aloud and the challenge of reading aloud. In writing this post, I was also considering our youth classes and not just adult classes. Breaking verses into different voices does break up the flow of a set of verses–and that does affect comprehension, particularly for those who could use the extra help. Ideally, we would ALL have read the lesson’s reading before class. If we did so, then the way that we taught in church could and would change dramatically, I think. I agree that asking for volunteers to read is the norm. And I don’t have a problem with it, only that it gets kind of cumbersome if the section to be read is more than 4 verses long. And I’m not really all that good at reading aloud, but I do enjoy the practice of taking turns. It makes me nostalgic for family scripture study – something that you don’t really get to do very often as a single person who doesn’t live near family. And I agree that it has its shortcoming – thanks for pointing those out. Maggie, I detest breaking into groups as well. Discussing in small groups is one of my least favorite ways to learn. To be blunt, I am not interested at all in the philosophies of men…I come to church to be fed spiritually, not to find out what my neighbor thinks about xyz. When we are reading scripture, even round-robin style, at least we are reading the the word of God. Uh, Marivene, your neighbors are the ones giving the talks and lessons every Sunday in your ward. So unless you’re only reading scriptures for 3 hours, you’re finding out what your neighbors think about the Gospel & sometimes that’s the philosophies of men AND women. Great points! I have a hard time sitting through round robin reading (or the “scripture snake,” as one Sunday School teacher called it). 🙂 I’ve found most of the approaches discussed here to be just as useful and effective for teaching Sunday School or Relief Society as they have been for me while teaching students at both the grade school and college level. I think paired and group discussion can be a particularly effective way to help class members process ideas and learn from each other, with the important benefit of allowing quieter class members a less daunting venue in which to share their ideas. I loved all the group/pair ideas shared in this post. To avoid class members experiencing awkwardness or uncertainty about what to do (or the concern raised here that it’s some kind of “cop out”) I find it helpful to start the discussion as a class, clearly lay out in advance how the group work will fit into the class-wide learning experience (along with the objectives of the task, of course), and use the group work as a springboard to delve more deeply into the topic with the class as a whole. I also have found that multiple shorter periods of group/pair discussion often work better for class members than one longer period (but I do let students know in advance when we will be repeatedly switching back and forth between group and class discussion). The approach listed here that I use sparingly is asking students to read silently on their own. I think it tends to create two of the same problems as round robin reading: (1) when asked to read silently, students of any age that struggle with reading can experience frustration and embarrassment ( as well as boredom and isolation during the task), and (2) it’s easy for minds to wander ( especially when class members are using electronic devices for scriptures and tend to get distracted by other things on their phones instead of or after they finish the reading). It’s harder during silent reading for a teacher to gauge the level of engagement and course correct. I, do, however, find that asking students to silently ponder a question for a moment or two before taking responses can greatly deepen and enrich the discussion. Of course, variety is the spice of teaching, and it’s easy to get stuck in a rut and use just a few techniques, so I loved having so many approaches shared in this post! 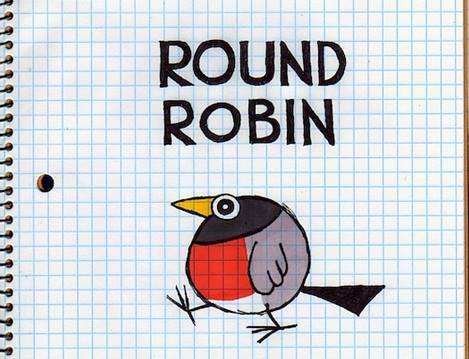 I had a Sunday school teacher once who always used the round robin scripture reading approach. Funny thing, as he called out each person’s name to read the next few verses, he always skipped over me. I wasn’t inclined to public reading, so I just viewed it with perplexity and amusement, and didn’t speak to him about it. However, I wonder if others in the class thought I had committed some horrible sin and was forbidden from participating in class. I tell parts of the message with words, gestures, and drawings on the board (we have a resident artist in our class), and acting out parts. This is interspersed with shared readings of some key scriptures. I like Shared Reading where we do choral reading of the scripture together because I read louder than they do and this supports their pronunciation with immediate feedback, gives them confidence to try to read in this supportive atmosphere, and it puts no one on the spot. When we do Round Robin, we modify it: “Look for this in the scriptures–purpose for reading, stop when we find what we are looking for, discuss the scripture, “translate” it for each other in our own words, ask what words need clarification. Sometimes others speaking the same language will explicate a bit for the person needing it in their own tongue. They know to ask about anything they are not understanding. Because it is such a small class and we have become good friends, they seem to feel comfortable interrupting to ask. Often these questions are, “What does WORD mean?” We list these on the board. I seem to have studied the same research you have and agree that Round Robin Reading, especially cold reading, usually does not work as intended in a Sunday School setting. I never used it as a literacy teacher in the public schools. However, I also love to hear the scriptures being read. The church’s website for the scriptures has a WONDERFUL reader and I love to listen to the entire scripture assignment as an overview before pondering them more carefully. I am grateful for this option. It really helps to hear them read aloud and all in one sitting (or walking or folding laundry or hiking!). Listening brings out the beauty of the language. The King James Translation abounds in poetry that is well worth listening to. It taps the meaning gently and beautifully into my spiritual psyche. Really great ideas, Marne. And listening to fluent readers–like from an audio version–is great support for those trying to build reading fluency. Again, it’s not the reading aloud/listening to scriptures that shouldn’t be happening–it’s the method. Thanks so much for this post, Naomi. I love the alternatives suggestions to round robin, and I love the discussions on this thread…a good reminder that there are everyone has different learning preferences.